Modules on "Crime prevention", "Behaviour", "Actions" and "Post incident support"
Modern training techniques including case studies, audio-visual presentations and trainee task participation. "Tiger Kidnapping" - have your vulnerable people had the appropriate training against this threat? Contact us today regarding this emerging threat to key staff. SERIMA1 offer training courses in all aspects of violent incidents,armed robbery or conflict resolution. 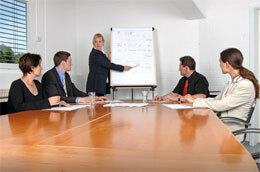 Courses can be tailored to suit the needs of your company.